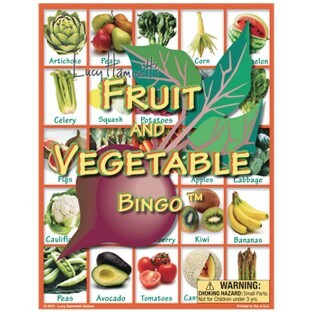 Have fun while learning about fruits and veggies! 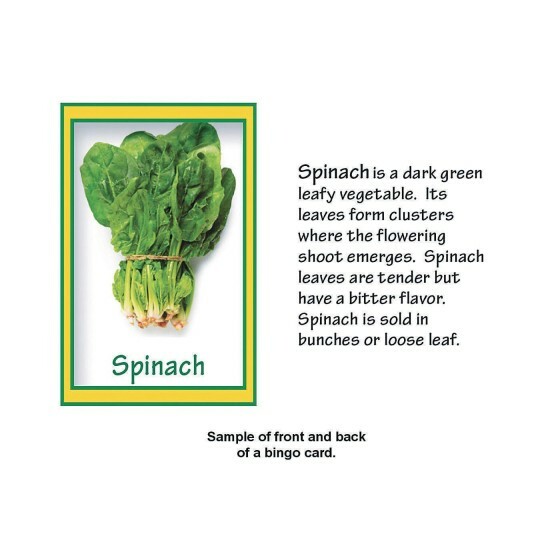 Picture cards feature entertaining descriptions – learn about fruits and vegetables while bringing fun and education together! Includes 6 player boards, 42 informative calling cards and chips to mark your spot. For 2 to 6 players, ages 5 and up.